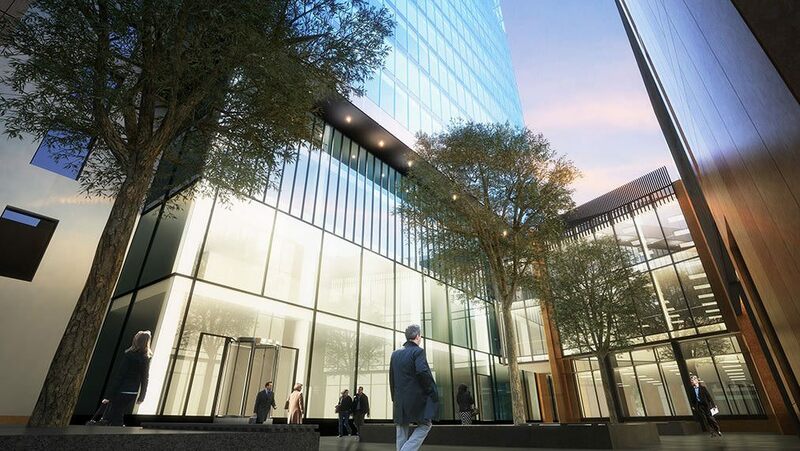 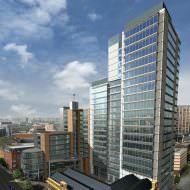 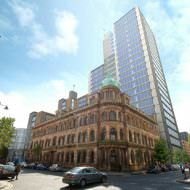 Bedford Square phase 2 is a proposed 213,000ft2 office development designed by Todd Architects for McAleer & Rushe. 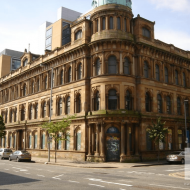 The scheme comprises refurbishment and extension of the listed Ewarts warehouse building for office accommodation. 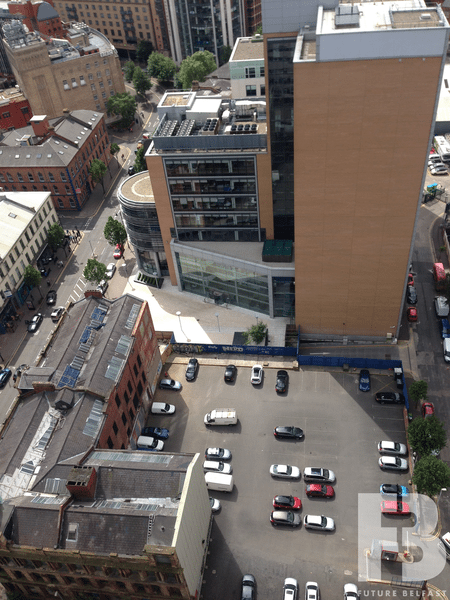 A two storey link bridge will connect to a new-build 17 storey building comprising basement car parking, ground floor retail and office accommodation above. 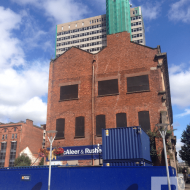 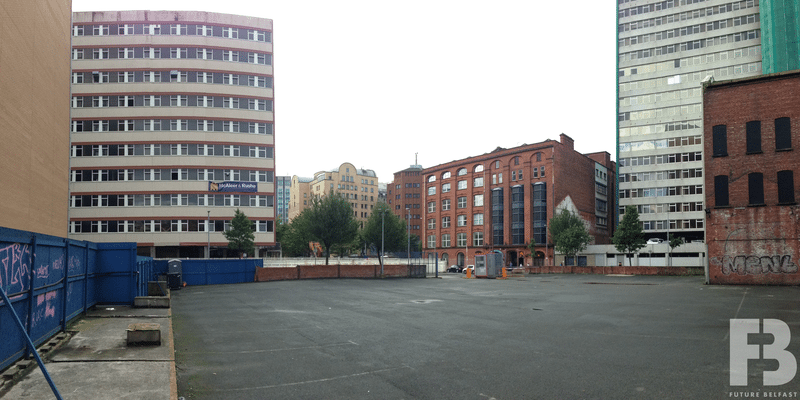 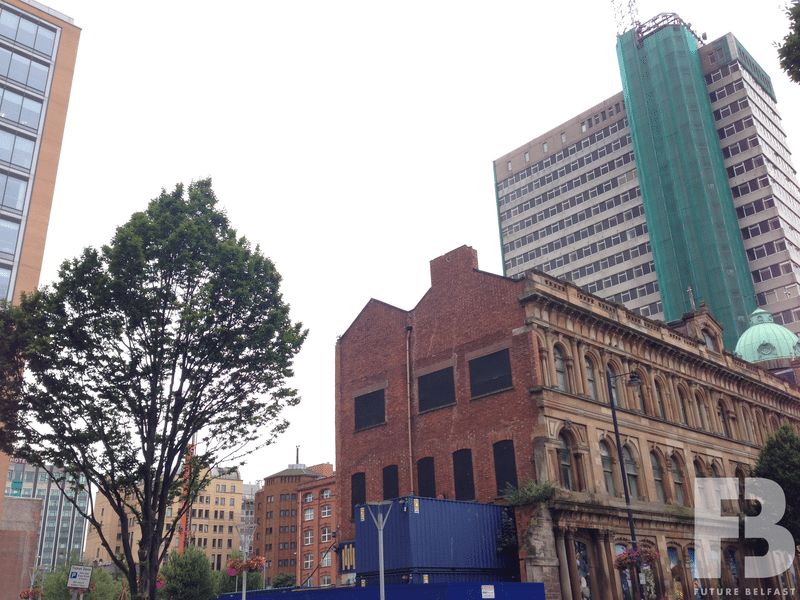 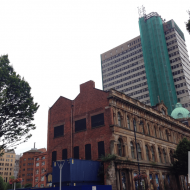 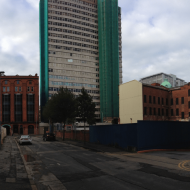 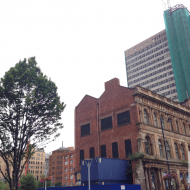 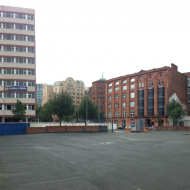 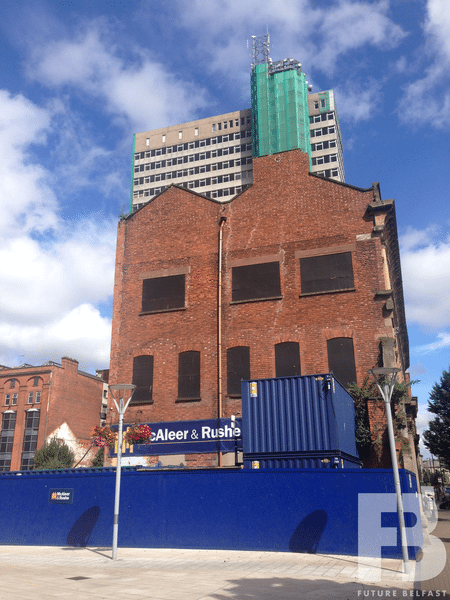 The site currently comprises a vacant four-storey sandstone warehouse building (known as Ewarts warehouse). 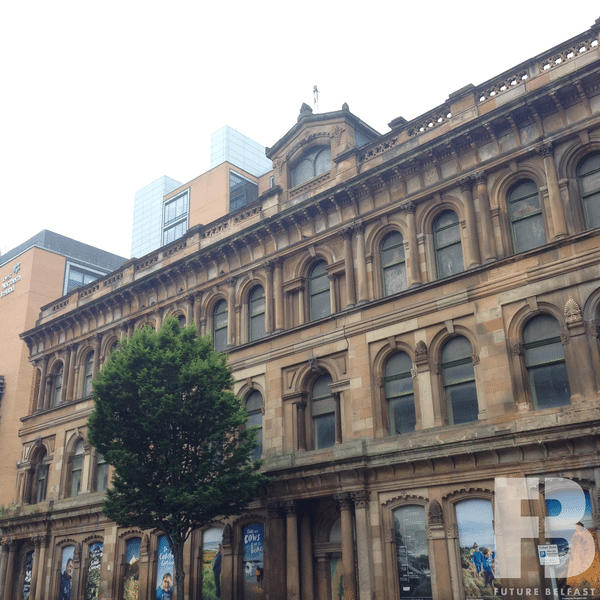 It was designed by James Hamilton for the Bedford Street Weaving Company. 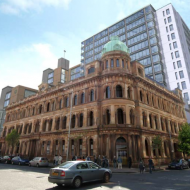 McCreary & Morgan commenced construction in September 1869 and completed the following year in 1870. 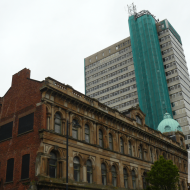 The building was extended by James Ewart in 1883 along Franklin Street and to the rear by Samuel Stevenson in 1937. 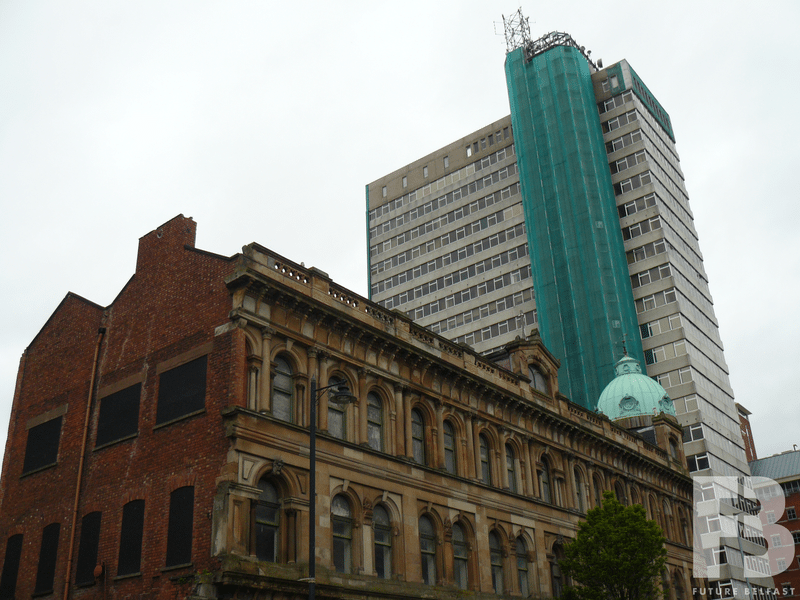 The extension was later demolished in 1990. 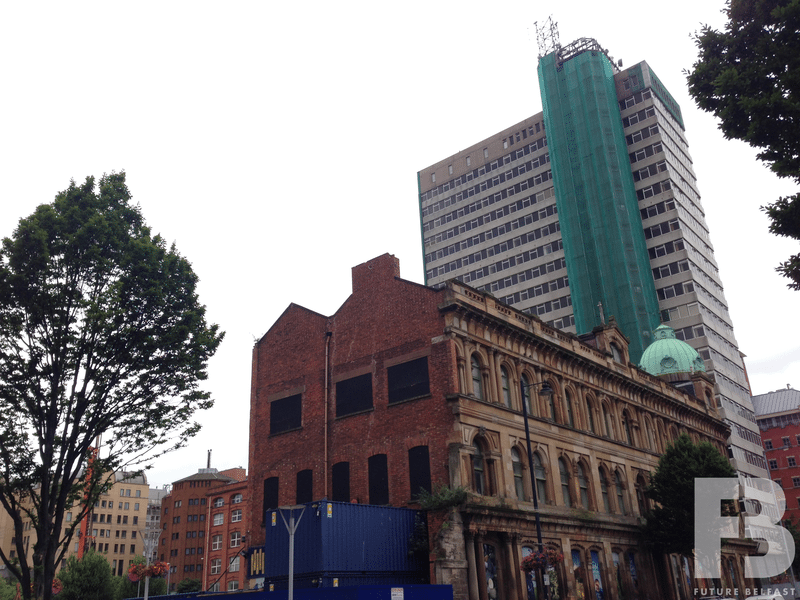 Taller red brick warehouses and weaving sheds to the rear of the building were also demolished in 1990. 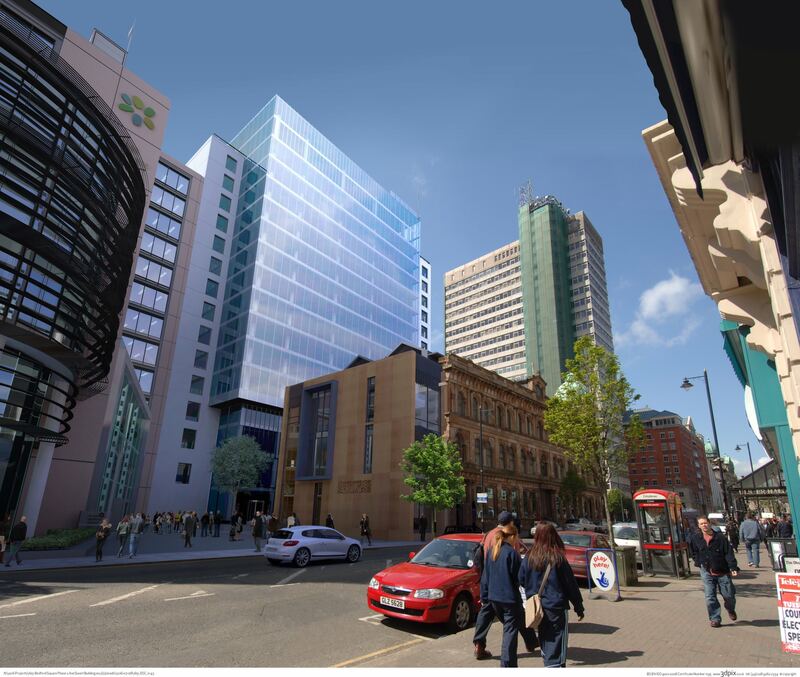 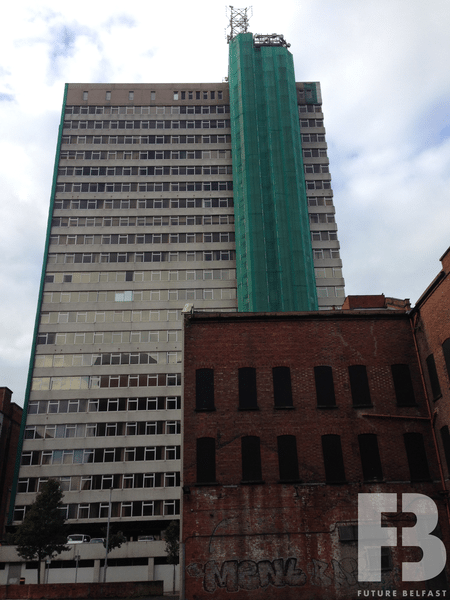 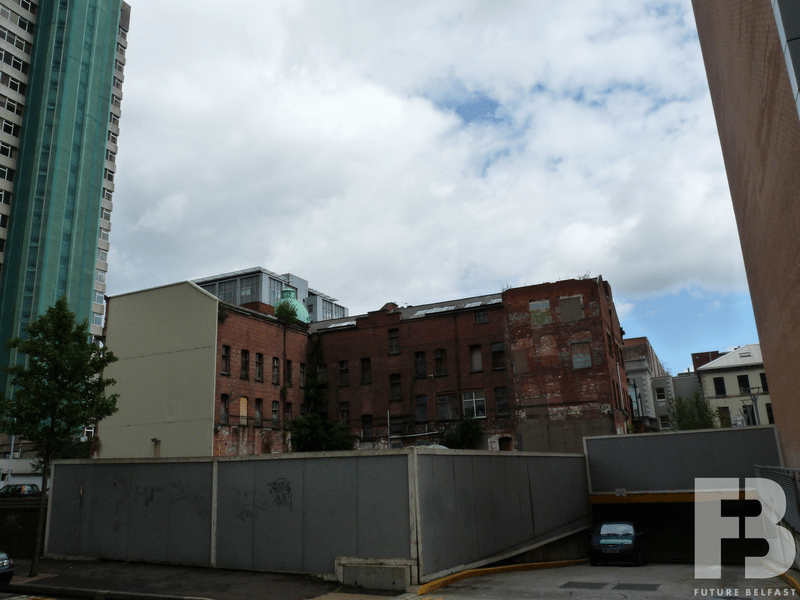 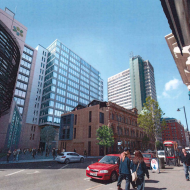 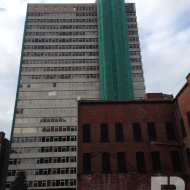 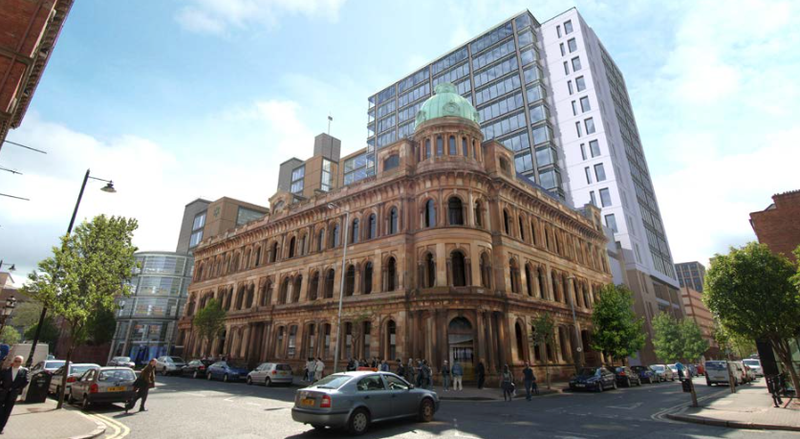 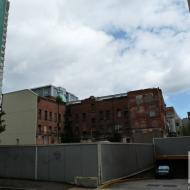 Bedford Street Developments (a joint venture between McAleer & Rushe and Ewart Properties) submitted a planning application (Z/2005/2567/F) in December 2005 proposing to develop a 26-storey building adjacent Ewart’s warehouse, with basement car parking and new civic square. 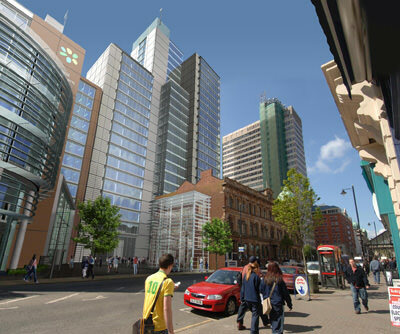 The application was approved in June 2007. 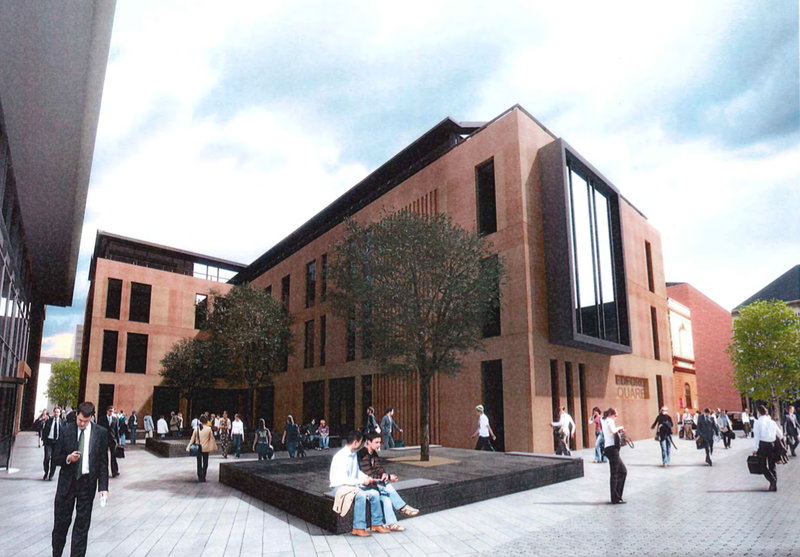 Bedford Street Properties also submitted a planning application (Z/2006/2325/F) in October 2006 proposing to restore, extend and convert the vacant Ewart’s warehouse building into a 70no. bedroom hotel with ground floor retail unit. 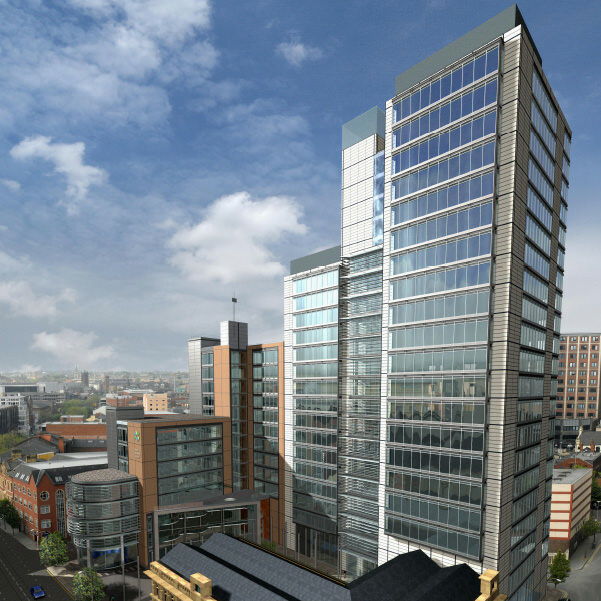 The application was approved in August 2008. 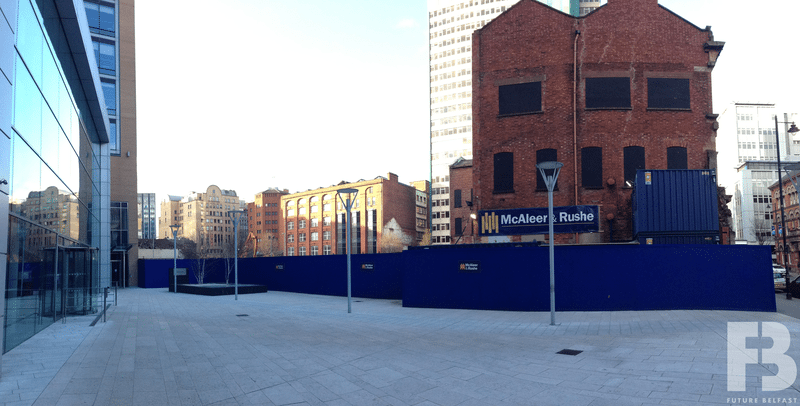 Neither scheme commenced. 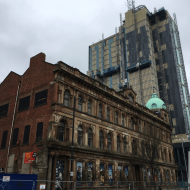 Bedford Street Enterprises (a company linked to McAleer & Rushe) submitted planning applications (LA04/2015/0264/F & LA04/2015/0094/LBC) in April 2015 proposing to alter, refurbish and extend the vacant Ewart’s warehouse building for office accommodation and develop a 15 storey office building with ground floor retail unit and basement car parking on the adjacent land. 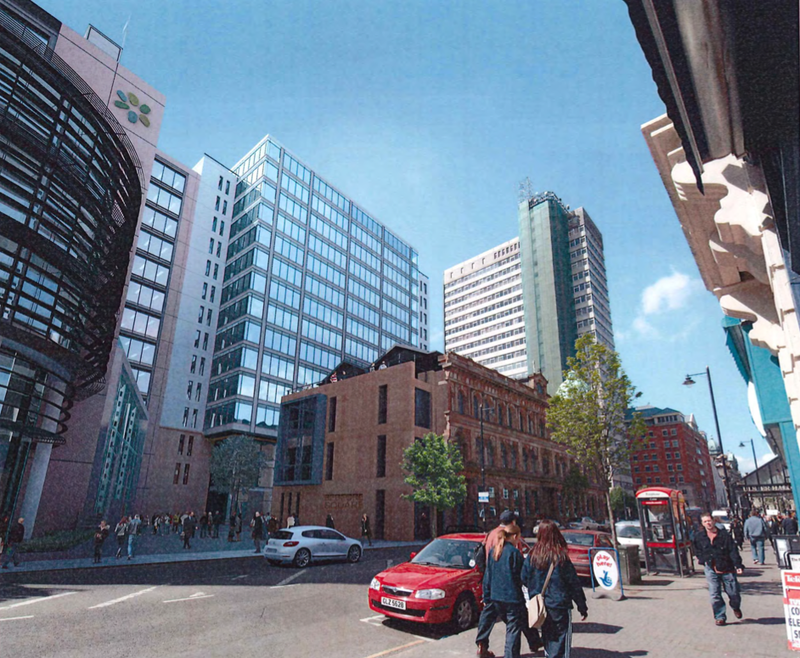 The planning applications were amended in June 2016. 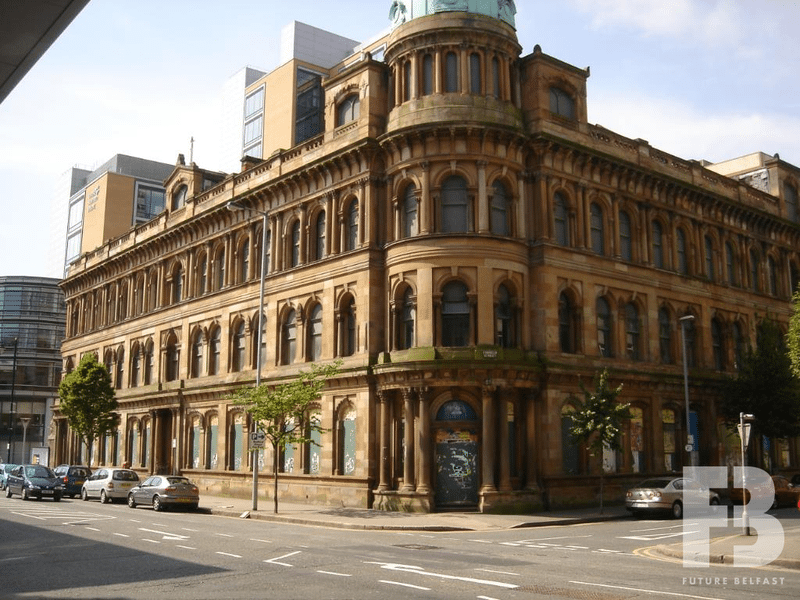 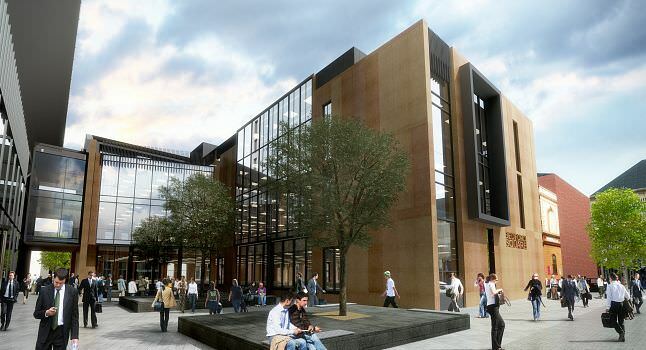 The revised proposals comprise refurbishment and extension of the Ewarts Warehouse Building to provide office accommodation. 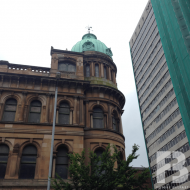 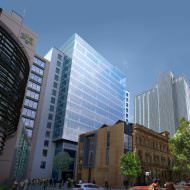 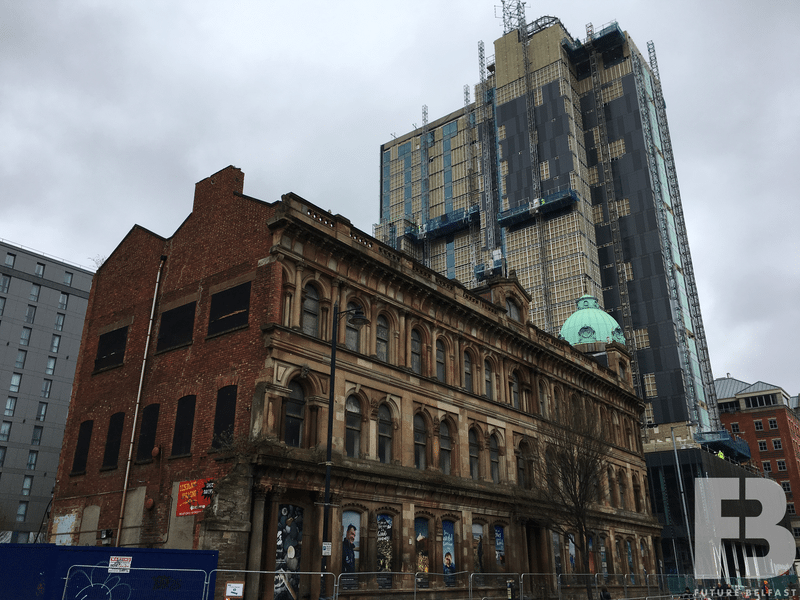 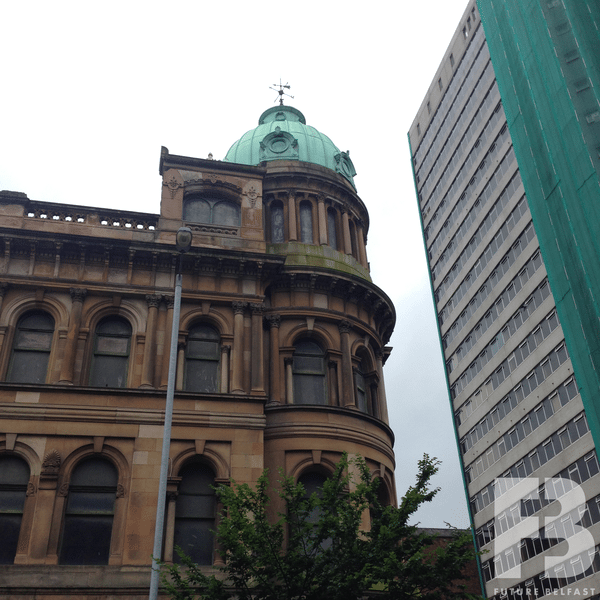 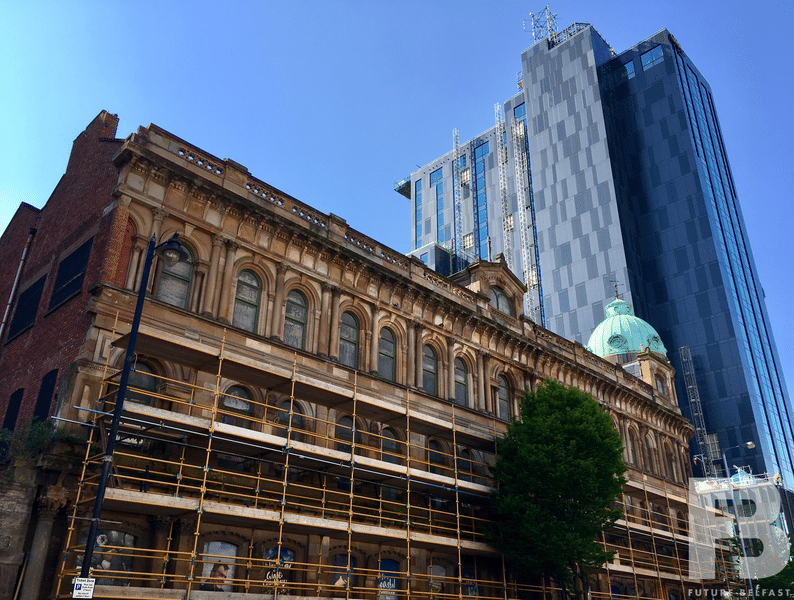 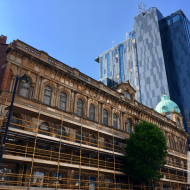 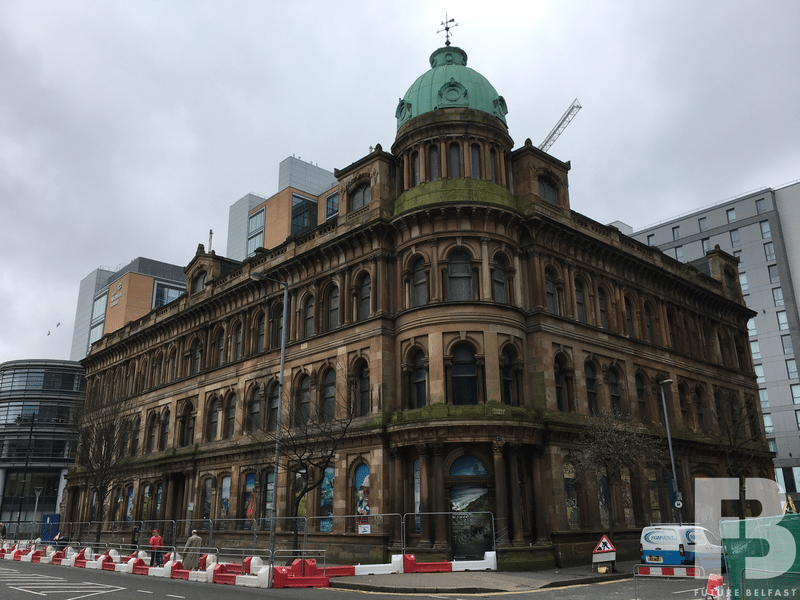 The building’s elevation to Bedford Street and Franklin Street will be retained along with the domed corner tower, floor structures, internal cast iron columns and feature staircase. 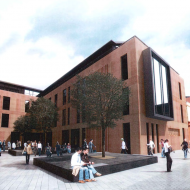 A four storey extension is proposed with a two storey bridge link to a proposed new-build office building adjacent. 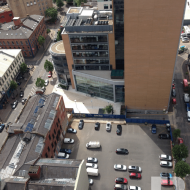 The new building comprises basement car parking, ground floor retail space and 16no. 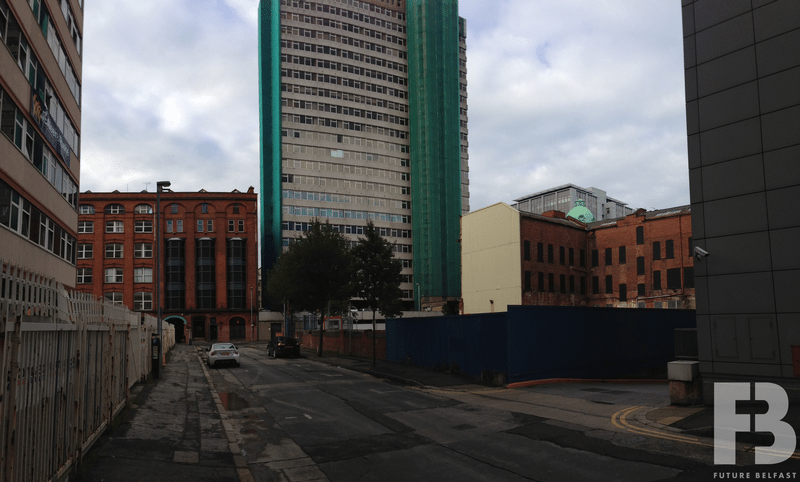 office floors above. 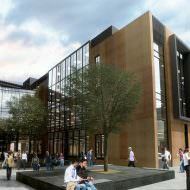 The revised proposal was approved in April 2017. 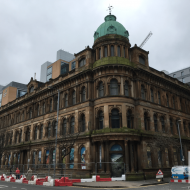 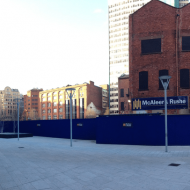 The first project newsletter (issued by McAleer & Rushe during autumn 2018) noted that remedial works within the existing listed building have commenced in advance of underpinning / piling works. 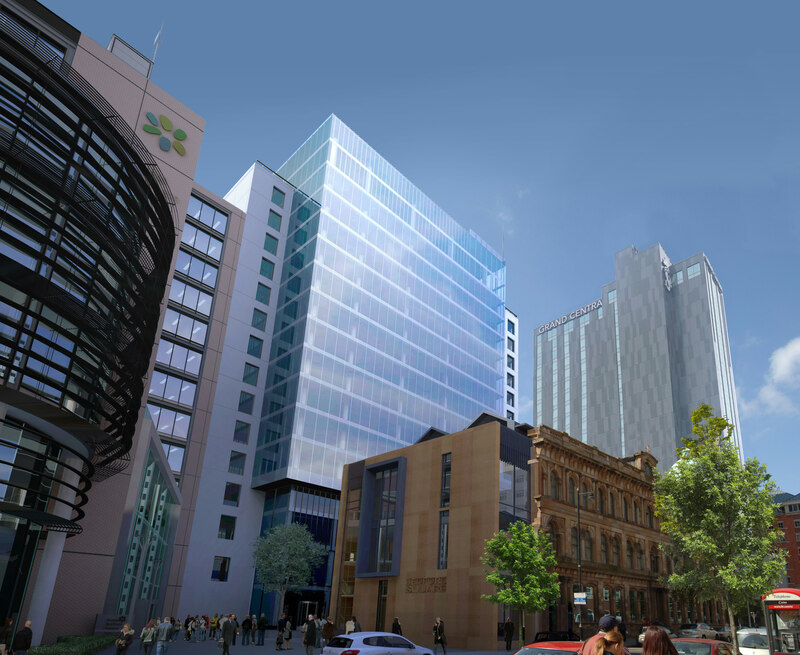 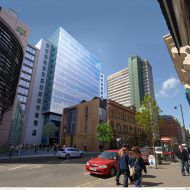 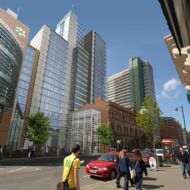 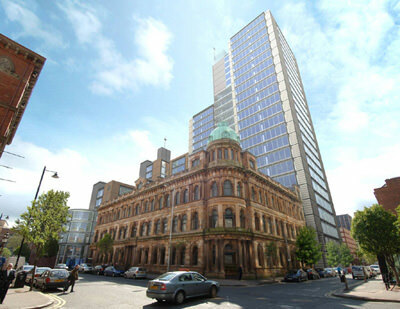 Deloitte announced in January 2019 that it has selected Bedford Square as the location of its new head office in Belfast. 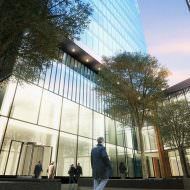 The firm will occupy 100,000ft2 on completion in 2021.